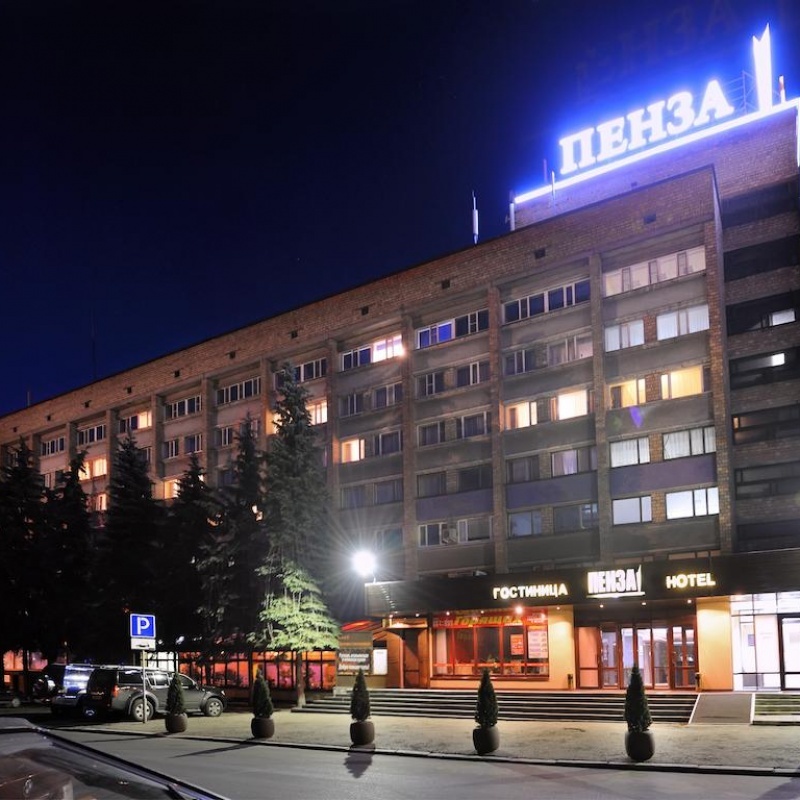 "Penza Hotel" is set in the historical, cultural and business city centre. It welcomes all kinds off travellers, business people, holiday-makers and tourists, exploring the sightseeing attractions. The hotel windows open the beautiful Sura River to the eye. The immediate hotel surroundings include lots of points of interest - Moscovskaya Street (main pedestrian street of the city), Lunacharsky Penza State Drama Theatre, Meyerhold Scenic Art Theatre-Museum, First All-Female Gymnasium, Savitsky Art Gallery, the unique architectural asset of Bishop's House and many more. The hotel offers accommodation in 97 comfortable rooms, all meeting modern standards. The rooms include the following amenities - convenient furniture, adjustable lighting, air conditioning, cable TV (channels in different languages), telephone, Wi-Fi Internet access, en-suite bathroom with hair-dryer, set of towels and toiletry accessories. Non-smoking rooms are available. The hotel accommodates the "Club Puteshestvennikov Bar" ("Voyagers' Bar") with friendly atmosphere. Here guests can start their day with a full breakfast. The restaurant provides all-day a la carte service as well (cuisine - Russian, European), offering delicious lunches and dinners. 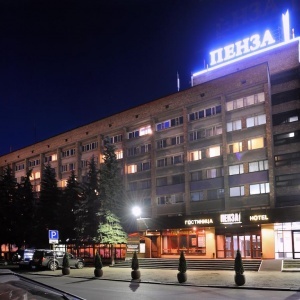 Among the other Penza Hotel facilities and services - secured parking, laundry service, ironing room, Finnish sauna, wake-up call, room-service, meeting room for 10 persons, conference hall for 25 persons, home theatre, photocopying, fax messaging, cloakroom, safety deposit box, taxi call, transfers, beauty salon, sunbed, ATM, electronic funds transfer terminal.